Upgrade your weekly work meals by making healthy lunch bowls ahead of time. Containing lots of nutrient-rich produce as well as lean protein and healthy fats, homemade lunch bowls make for a tasty and well-balanced break from your busy day. The Oster® DuraCeramic™ Titanium Infused 6-Cup Rice and Grain Cooker with Steamer and the Oster® Oskar™ 2-in-1 Salad Prep & Food Processor are your go-to's for effortlessly preparing fresh lunch bowls. Try the delicious recipes below. Each recipe makes enough to prepare 2-3 lunch bowls for the week. Takeout is easy, but it sure isn't healthy. Instead, make this beef and broccoli stir-fry - it's easy to prepare, but much more nutritious thanks to the light sauce and collection of vegetables. Add rice to the Oster® DuraCeramic™ Titanium Infused 6-Cup Rice and Grain Cooker, followed by the amount of water specified on the package. Flip the switch to begin cooking. Meanwhile, slice the cabbage and carrots using the Oster® Oskar™ 2-in-1 Salad Prep & Food Processor. Add the sliced cabbage and carrots to the steamer attachment of the rice cooker, along with the broccoli and onion. While rice is cooking, heat olive oil in a pan on the stovetop and cook the steak. Set aside. Mix together the soy sauce, honey and red pepper flakes in a small bowl until combined. To prepare lunch bowls, spoon a portion of rice into a bowl or lunch container, followed by the steamed veggies. Pour over the soy sauce mixture and sprinkle with scallions and sesame seeds. Quinoa is a healthy ancient grain that can form the basis of delicious lunch bowls. 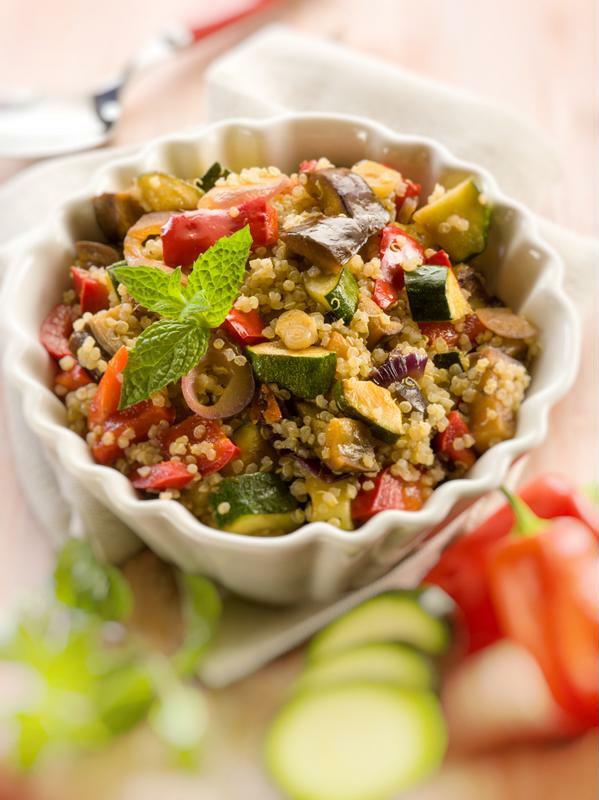 Quinoa is a tasty ancient grain that contains a high level of protein and fiber. Pair it with freshly sliced veggies and herbs for a delicious lunch you'll look forward to enjoying all day. Add quinoa to the Oster® DuraCeramic™ Titanium Infused 6-Cup Rice and Grain Cooker, followed by the amount of water specified on the package. Flip the switch to begin cooking. Meanwhile, slice the cucumber and carrots using the Oster® Oskar™ 2-in-1 Salad Prep & Food Processor. To prepare rice bowls, top 1 cup of spinach leaves with a portion of the cooked quinoa, followed by the sliced cucumber, carrots, onion and tomato and the feta cheese. Squeeze lemon juice over toppings and lightly drizzle with olive oil. Pair protein-packed tuna with wild rice, creamy avocado and a variety of other delicious add-ins for a flavorful and balanced lunch bowl. Add rice to the Oster® DuraCeramic™ Titanium Infused 6-Cup Rice and Grain Cooker, followed by the amount of water specified on the package and the salt and pepper. Flip the switch to begin cooking. Meanwhile, slice the bell pepper and zucchini using the Oster® Oskar™ 2-in-1 Salad Prep & Food Processor. To prepare rice bowls, top cooked rice with sliced pepper and zucchini, walnuts, sun-dried tomatoes, tuna and avocado slices. Sprinkle with dried dill before enjoying. Top off your lunch bowl with a healthy dressing. This lunch bowl is half salad, half rice dish, but totally delicious - a light yet creamy cilantro-chili dressing adds extra-bright flavor. Add rice to the Oster® DuraCeramic™ Titanium Infused 6-Cup Rice and Grain Cooker, followed by the amount of water specified on the package. Flip the switch to begin cooking. Meanwhile, add oil to a pan on the stovetop and cook the chicken pieces. Slice the bell peppers using the Oster® Oskar™ 2-in-1 Salad Prep & Food Processor. 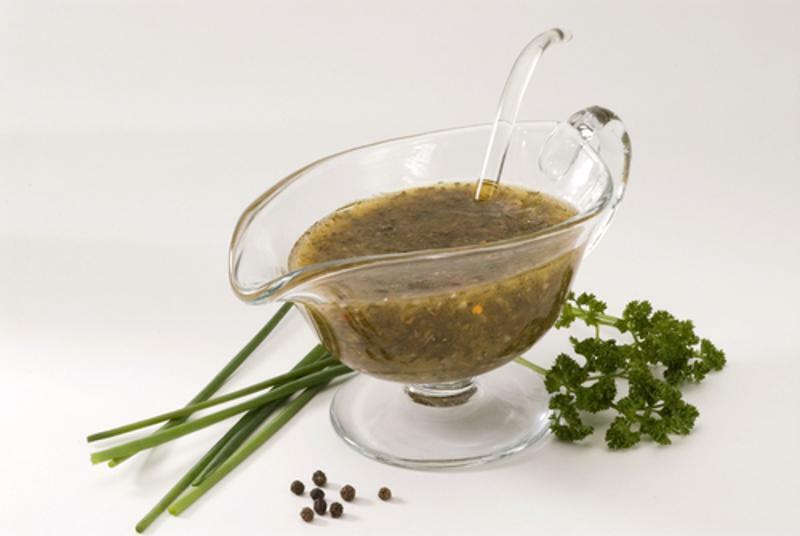 To prepare the salad dressing, add the sour cream, olive oil, lemon juice, cilantro, cayenne pepper, chili powder, salt and lime juice to the food processor attachment. Combine until smooth. To prepare bowls, top 1 cup romaine lettuce with a portion of rice, chicken, vegetables and beans, then drizzle with dressing.